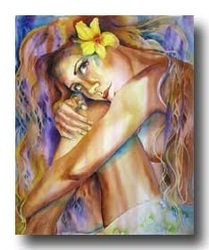 Kristine, a true "Island Girl" was born on Vancouver Island, British Columbia and now lives on the beautiful island of Oahu. 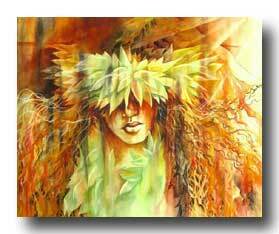 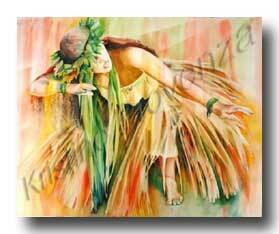 She hopes that she can come close to portraying the true essence and spirit of Hawaii's people and their paradise. 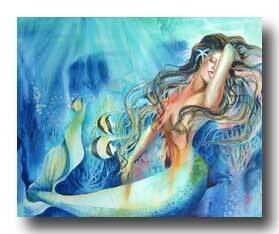 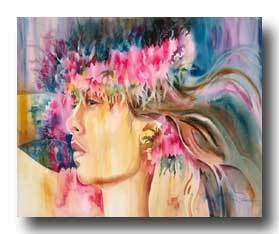 She has been a professional artist for more than twenty five years with paintings in both corporate and private collections around the world. 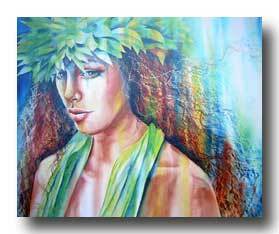 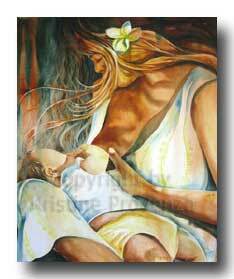 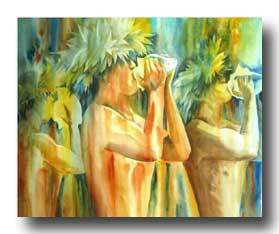 In the eighties she was elected an active member of "The Federation of Canadian Artists", the "Hawaii Watercolor Society" and "The Association of Hawaiian Artists" and was accepted into many juried exhibitions. 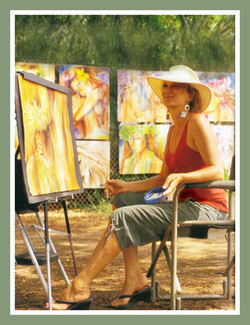 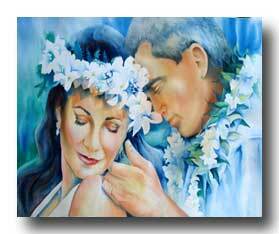 Over the years she has won numerous awards for her portraits in pastels, oils and watercolors. 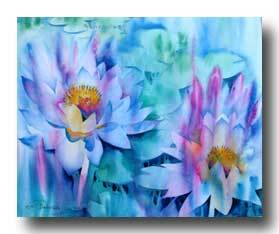 She has worked primarily in watercolor for the last twenty years and has also been honored with awards for her landscapes and florals in this medium. 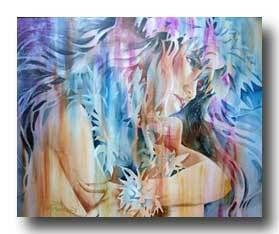 Kristine strives to create paintings that evoke a strong emotional response from the viewer and says that the best way to to do that is to paint from within. 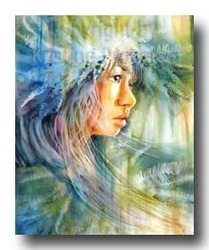 If you use God's gift, put your "heart and soul" into it, you should come up with a painting that moves someone!